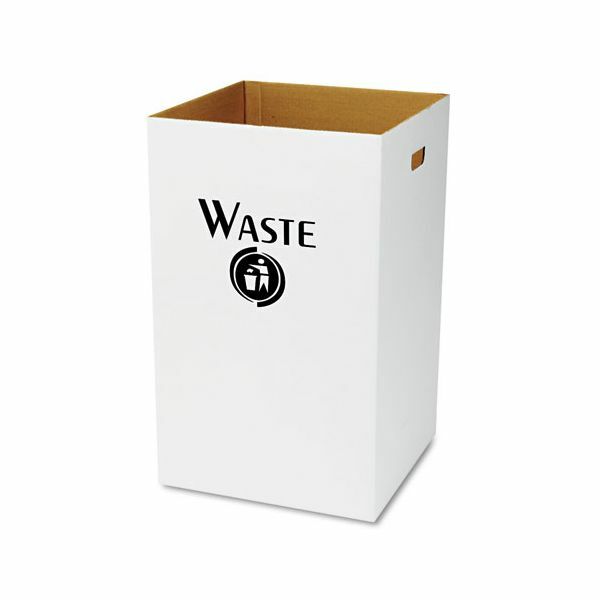 Economical way to provide recycling and waste collection on a temporary basis. 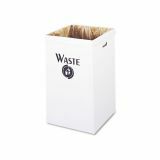 Safco Corrugated Waste Receptacle, Square, 40gal, White, 12/Carton - Corrugated receptacle offers an economical way to provide recycling and waste collection on a temporary basis. Stores flat until needed. To use, simply assemble and line with your waste bag (sold separately). Receptacle may be quickly disposed of when no longer needed. Easy to assemble. Simply line with a 40 gallon waste bag. 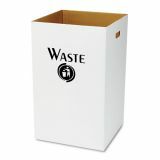 Made of at least 70 percent recycled material. 18 1/4 x 18 1/4" 18 1/4 x 18 1/4"
18 1/4" x 18 1/4"